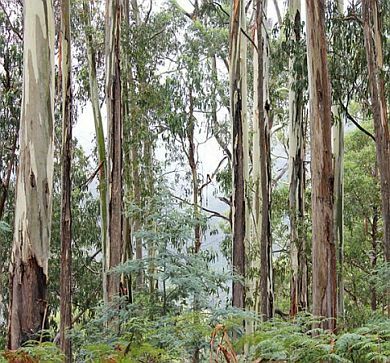 The forest industry contributed more than AU$7 billion to the Victorian economy last financial year. This includes AU$1.9 billion in direct sales, and a further AU$5.4 billion once flow-on effects in other industries are included, leading to a total contribution to gross regional product (the regional equivalent of GDP) of AU$779 million. The research was conducted by the University of Canberra in conjunction with consultancy EconSearch, a division of BDO Advisory. In terms of jobs, the Victorian forestry industry (excluding the Green Triangle Region) overall generated 14,475 direct jobs including almost 5,115 in primary processing, and over 9,360 in secondary processing. -	Softwood plantations generate the highest employment at 47.7% followed by native forests at 32% and hardwood plantations at 8.9%, with the remaining 11.4% dependent on native forests and plantations grown in other regions. -	The industry is an important contributor to the economy in several regional communities, and contributes to diversification of the economy in many regions. In Melbourne there were 7,717 jobs generated (mostly in secondary processing), 3,646 in the Central Highlands and Gippsland, 1,677 in the Western region, 1,435 in the North Central region. -	Of the jobs in primary processing, 55.3% are located in the Central Highlands and Gippsland, 19.6% were in the North Central region, 12.7% in the Western region and 12.4% in Melbourne. -	The Local Government Areas with the highest dependence on the forest industry for direct employment were Alpine (6.8%), Latrobe (4.7%), Benalla (4.7%), Colac-Otway (4.5%), Wellington (3.2%), East Gippsland (2.1%), and Murrundindi (2.0%). -	Between 2011 and 2016, there was growth of 22% in employment in the primary production part of the industry, driven in part by growth in harvest of hardwood plantations. However, during the same time, employment in wood and paper product manufacturing declined by almost 30% (29%). Victorian forest industry workers are slightly less likely than those in other industries to earn lower incomes (less than $649 per week), largely due to the higher rates of full-time work, but also less likely to earn high incomes (above $1,250 per week). Recruitment was a challenge for industry, in particular difficulty recruiting managers and high-level professional staff (reported by 70% of businesses surveyed); transport workers (69%), heavy machine operators (67%) and field staff (63%). Sixteen per cent of forestry workers were women, compared to 48% of the broader labour force. Lead researcher Associate Professor Jacki Schirmer said that businesses were relatively optimistic about future demand for forest products. “About half surveyed (51%) felt demand would remain the same, about one third (31%) felt that that demand would grow and a few (18%) that demand would reduce. “There are still big challenges facing many businesses, including recruitment difficulties, increasing cost of labour, government regulations and rising input costs. In Victoria, as with other states, the majority of forestry jobs are generated by the processing sector, as is the majority of the industry’s flow-on economic impact. This highlights the importance of local processing of wood and fibre for the generation of jobs,” she said. *Benefits from the Green Triangle that could not be attributed to either Victoria or South Australia in isolation have not been included.